HÀ NỘI — Việt Nam lost 0-2 to hosts Iran in the play-off match of the Davis Cup Group II, Asia/Oceania in the first day of competition yesterday in Isfahan City. 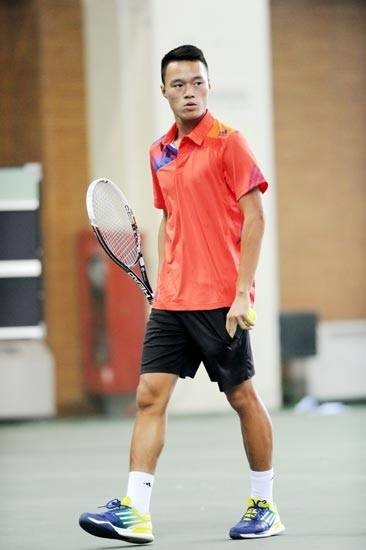 In the first rubber, Phạm Minh Tuấn lost 2-6, 4-6, 0-6 to Shahin Khaledan. In rubber two, Nguyễn Hoàng Thiên retired when it was 5-4 to Hamid Reza Nadaf. In the second day today, Tuấn will pair with Lê Quốc Khánh to play the doubles match against Amirvala Madanchi and Ashkan Shokoofi. The event will end on Sunday with two final singles matches.